Although it is wintertime, there is gardening work to be done. That said, who doesn’t love wisteria? The endless blooms in the spring can blanket their canopy over a terrace, balcony or pergola. They are so delicately intoxicating and whimsical, especially when fluttering in a soft spring breeze. To get that look there is work to be done right now! Get ready for February. That’s pruning time. 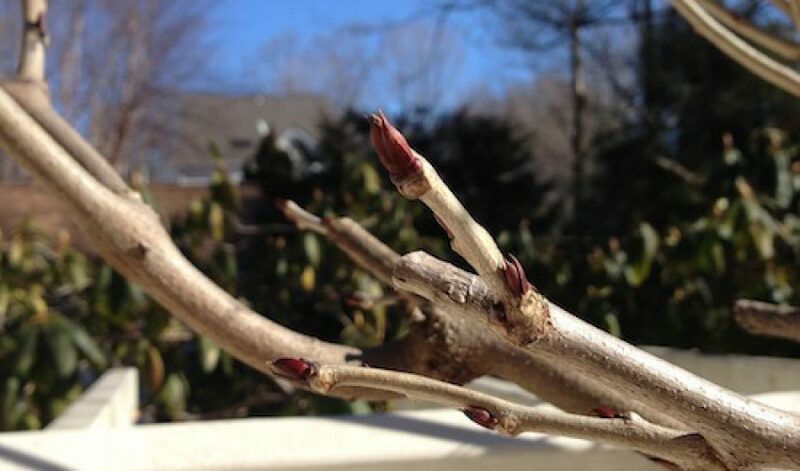 Pruning in the winter is necessary for most plants, but especially for a wisteria. Why? Wisteria vines are extremely tough and durable. Left unattended, they will most assuredly become an unruly and tangled nightmare. With no leaves out yet, you have easy access to the stems and all those snipping points. Where to cut? Aim for three to five buds on a single off-shoot from the main vine. So, count from the base of the shoot and trim beyond that. (If you have not trimmed in a while, it may seem like you are trimming a lot.) Doing this encourages the wisteria to focus its growing energy on the blooms remaining and they will be fuller and more beautiful as a result. Pruning in this manner will also enhance the visibility of the flowers. Come spring, your flowers will emerge thanking you for your attention. The rewards will be MARvelous!